MIDWOOD – Umber Nisar, the Muslim woman who was assaulted three days ago, sat on a chair facing the cameras. She was fidgeting with her hands and occasionally looked up, her eyes were filled with tears, but she did not cry. “I am still very scared,” she said. 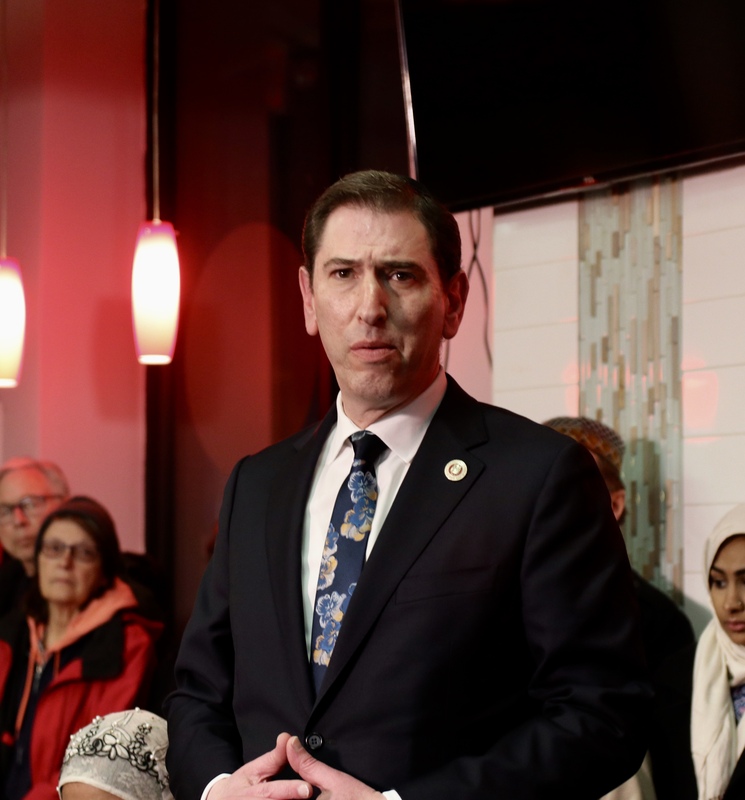 Yesterday evening, community members, leaders, and Council Member Chaim Deutsch took over 1001 Newkirk Avenue, the home of Pakistani American Youth Society (PAYS). Nisar sat in front of a table. Her community, literally, stood behind her. “It was just a regular day,” Nisar began, recounting her assault by a stranger outside her home last weekend. You can view the story and our interview with Nisar over here. The Pakistani-American community is grateful that Nisar decided to report the crime and speak out against what happened to her. Community organizer Ahsan Chughtai said that doesn’t usually happen. He said women from countries like Pakistan, Yemen, and Egypt come from a place where it isn’t culturally appropriate for them to speak out. He said he’s proud that Nisar was able to do so. 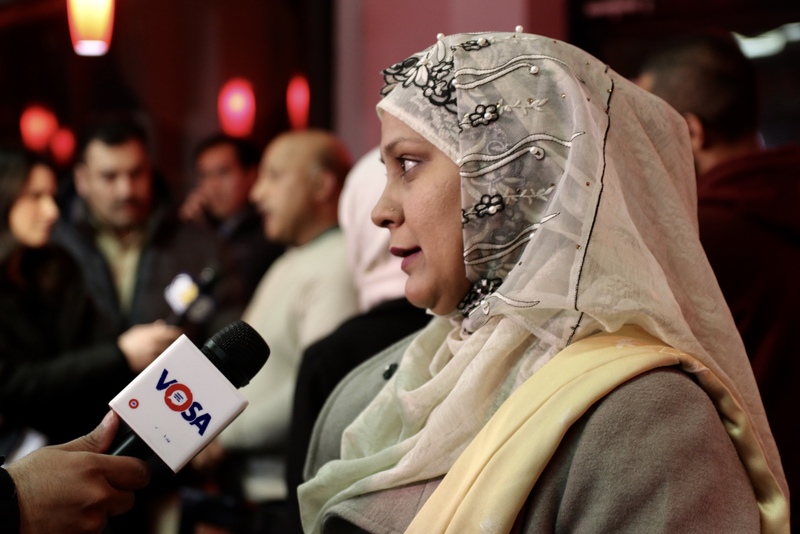 Nisar said she decided to speak out because she thought of her own daughter, her sister, her mother, and her neighbors. 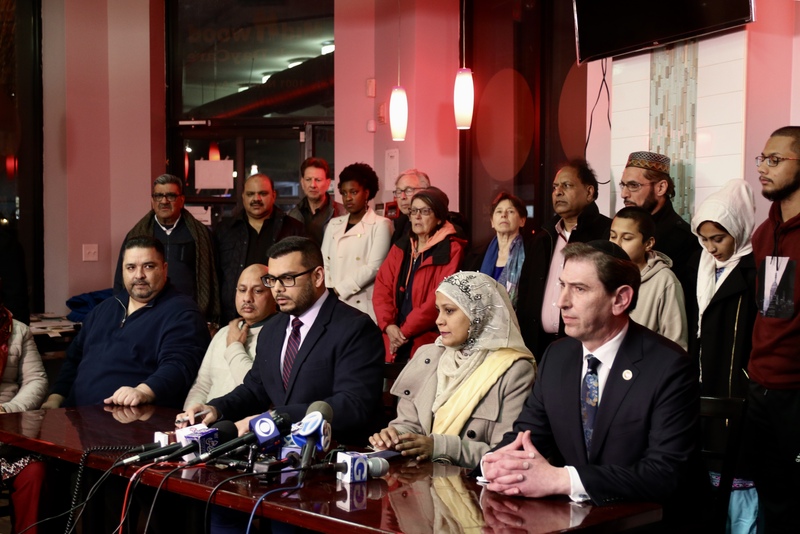 The Pakistani community in Midwood has been anything but silent this year. Just last month, the Coney Island Avenue strip between Avenue’s C and H was co-named “Muhammad Ali Jinnah Way,” after the founder of Pakistan. And Ahmed was right. 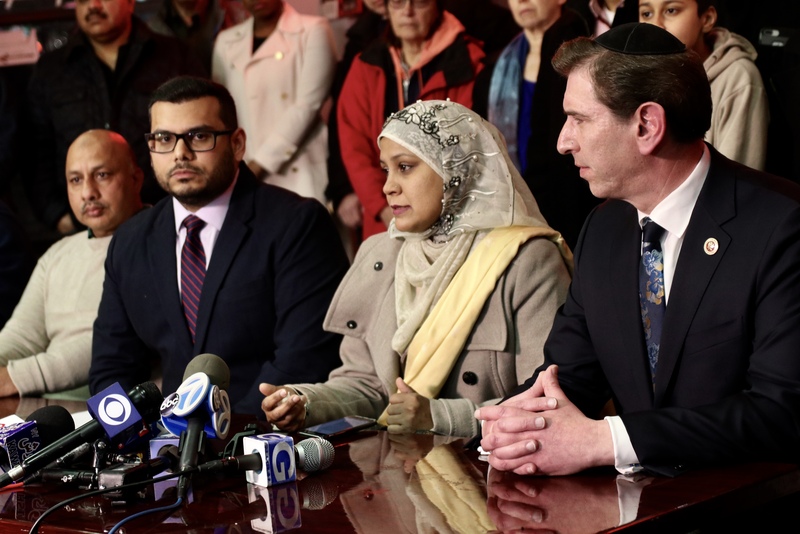 Just last week, the community and elected officials got together outside the neighborhood’s Makki Masjid to stand with the victims of the New Zealand massacre. Community organizer Kashif Hussain said it was important to speak out because what happened to Nisar was unacceptable. Hussain said Nisar is now an image of bravery and courage for thousands of Muslim women. He said men need to understand how important it is to have empowered women in their communities. But, despite raising her voice, Nisar is still afraid. Yesterday, she had a doctor’s appointment two blocks away from her house. She said she was walking and kept looking around, feeling paranoid. “Was someone following me?” she asked. Nisar’s 19-year-old son Mohammed Ashraf told Bklyner that he is proud of his mom for staying strong. Ashraf said he wonders if things would have been different if he were there with his mom. He said he wonders if things would have been different if the massacre in New Zealand didn’t occur, because “things like that have ways to inspire,” he said. Though Nisar is still afraid, she is happy that she is not alone. She said she’s glad to know there are people who can support her: her friends, her family, and her community. She said she’s a very proud Muslim. This is very disgusting and alarming that this happened in our neighborhood. I wish the man could be caught and put in jail where he belongs. I hope they catch him, too. I hope that all of the people who committed assault last week are caught, and there are a lot of them.